.AC.ZA Domains are intended for academic institutions that are interested in expanding their brand or website in South Africa. Whether a local or a visitor, a .AC.ZA Domain Registration will give you the credibility needed to succeed within South Africa. Requirements: Higher Education Institutions of South Africa must submit copies of the Institution's Certificate of Registration, Articles of Association, Constitution or other documentation of the Organisation's status and/or purpose. 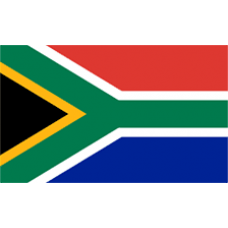 Description: South Africa is a large country in, unsurprisingly, southern Africa. South Africa is one of the most politically stable ..